Her voice remains remarkable. Her C-5 high note, which has a YouTube compilation of its own, is unimpaired. Her whistle note is greeted with cheers whenever she stands still at the mic and conjures it up, which she does with an air of purpose. Sending the twittering, snap-chatting pop-culture universe into complete melt-down, Songbird Supreme Mariah Carey's forthcoming release Caution is to be followed up by a mammoth world tour, including stop-offs at 22 cities across North America in early 2019. The five-octave diva returns to show the younger generation of pop stars of today how exactly it's done with a phenomenal, high quality production stage show centred around her vocal prowess, melismatic phrasing and stunning whistle register. After a demo-tape landed in the hands of the right people, Mariah courted overnight success when her debut self-titled LP topped that charts in 1990, earning her first Grammys for Best New Artist and Best Female Vocalist. Almost three decades, millions of sales and numerous accolades later, the best-selling female performer of the 90s has solidified her place in the stratosphere with continuing success, business and philanthropic pursuits. Her hotly anticipated 15th studio album may be flush with exciting new material, but the songstress is sure to dust off old classics like 'I Don't Want To Cry', 'We Belong Together' and 'Touch My Body' for the Caution tour. Sound good to you? Share this page on social media and let your friends know about Mariah Carey at Benedum Center. Please note: The term Benedum Center and/or Mariah Carey as well as all associated graphics, logos, and/or other trademarks, tradenames or copyrights are the property of the Benedum Center and/or Mariah Carey and are used herein for factual descriptive purposes only. 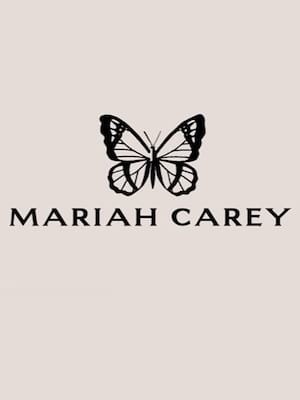 We are in no way associated with or authorized by the Benedum Center and/or Mariah Carey and neither that entity nor any of its affiliates have licensed or endorsed us to sell tickets, goods and or services in conjunction with their events.